En manuell Wyler Incaflex från sent 60-tal med box och prislapp kvar. 17 juvelers nyservat verk med Paul Wylers patenterade unika stötsäkring Incaflex. ”In order to clearly demonstrate the benefits of Wyler’s revolution for such a small but crucial component in a watch, a simple demonstration was organised in 1956. In an early form of publicity stunt, two Wyler Incaflex timepieces were dropped 300 metres (almost 1000 feet) from the top of the Eiffel Tower. The notary public chronicling this audacious event confirmed that both timepieces were in excellent working order even after their harsh landing. 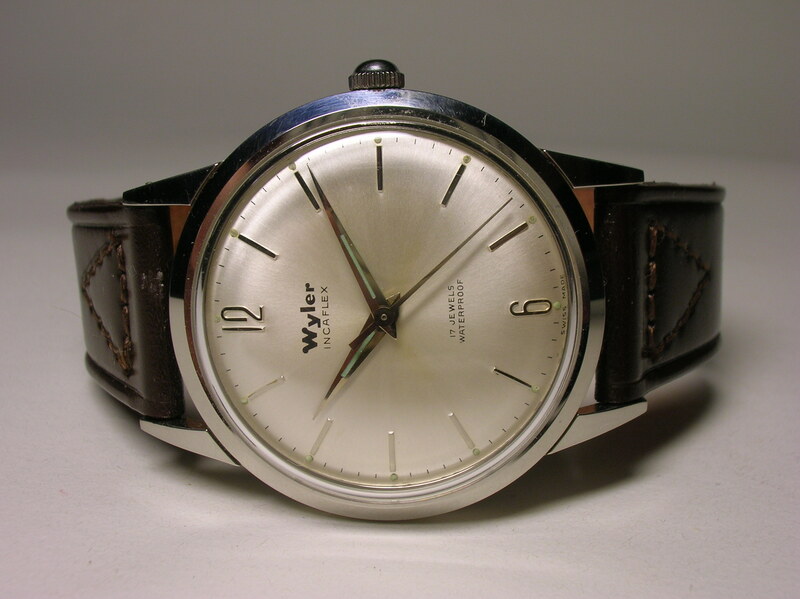 This was a clear indication that the Wyler Incaflex balance wheel represented a major breakthrough in the watch industry. Läs mer om ”the watch that resists shock” här. Mäter 35 mm utan krona och är helt utan skavanker. Du bläddrar just nu i arkivet för kategorin Wyler.